My daughter has a habit of asking me searching questions. You know the kind, the ones where intuitively the answer seems obvious, but you just can’t find the words to do it justice. It was after the Ludogorets game and she just couldn’t get her head round why I was buzzing at the late drama that had unfolded at Anfield. I wanted to tell her about the highs and the lows, about the incredible bond I feel with the team, about the history of the club, and about how drama is a byword for Liverpool Football Club. I wanted to explain that all of that had been crystalised in that one perfect moment, as the ball nestled in the back of the net in the dying embers of the game. I obviously spent too long trying to formulate an answer, because she was immediately onto the next. “Dad, do you think the Loch Ness monster is real?” Well yes, obviously, but that’s for a different column. To those who don’t get footy, the way we feel about it seems ridiculous. There are, after all, far more important things going on in the world. Why do we invest so much energy, passion and, lets face it cash, into a bloody game? All I know is that I couldn’t have been more despondent as I made my way to the game on Saturday. The agony of the Derby, and the last second Jagielka thunderbolt, still lingered and I couldn’t even think about the abject display in Switzerland. We were facing a ‘must win’ tie against a team in form. Worse still they were the most adept in the league at scoring from set pieces. I wasn’t exactly brimming with confidence. It got worse in the pub as I overheard conversations about relegation zones, and fearful conversations about Madrid drubbings, and other apocalyptic type scenarios. Like I say, Liverpool is synonymous with drama. So, you can imagine that I wasn’t in the most upbeat of moods when I finally took my seat on the Kop. It may have been my imagination, but even the ‘You’ll never walk alone’ seemed flat. The first half had done little to lift the mood, until Adam Lallana put the reds in front right on the stroke of half time. It was a great time to score, yet you sensed there was still a long way to go. Much of the first half had been uninspiring. 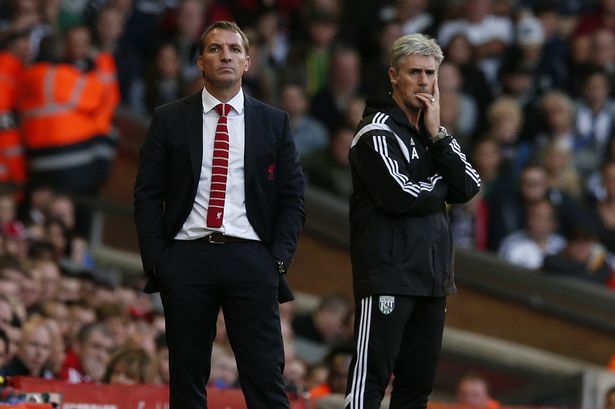 Rodgers has spoken of the Liverpool shirt being a heavy one, and Ricky Lambert looked like his was lead lined. I desperately want it to work out for Ricky, but he looks like he is struggling with the pressure of playing for his boyhood club. This is a player who scored fifteen goals for Southampton last year. If he can regain a little of that for us, we may yet see a fairy tale ending for him. We did see a faint glimpse, as he latched on to a neat through-ball from Skrtel. His first touch was sublime, but the shot was easily dealt with by Foster. As was the case against Everton, Liverpool were doing a decent job, until they reached the final third. The final ball was lacking and the finishing poor. The reds had managed just two shots on target. In truth it was all too easy for West Brom and they would have felt they deserved more going into half time. From my vantage point our goal looked magical and Match of the Day confirmed I was right. Adam Lallana has been one of the few positives about our season so far, and it was good to see the goal meant as much to him as it did to us. Then came the second half, and usual piece of trade mark madness we have become accustomed to, and this time I’m not solely referring to the defending. From over one hundred yards away, my fellow Kopites and I felt that Lovren had fouled the player outside the box. “He dived right in there,” said the lad next to me. Inexplicably Michael Oliver and his Linesman, who were much closer than us, awarded a penalty. I’ve watched it since, and it was a very poor decision. Another penalty decision had gone against us. The sense of ‘here we go again’ was palpable. The Kop wilted and to my shame, I lost belief. We are so anaemic up front, I just couldn’t see us getting a second. Fortunately Brendan and the team had other ideas. Rahem Sterling found himself in the box, there were shouts of handball. I joined in the way you do, even though you saw nothing. Then he looked to have been fouled, I shouted penalty, this time with more conviction. Of course we weren’t getting one. Sterling had laboured through the game thus far. This is a player who, at nineteen, looks like he is carrying the weight of the team on his shoulders. He badly needs a break in my opinion. However, against West Brom, he added one more tool to his belt. Great players can have bad games, and then in an instant they make one telling contribution that makes up for the mediocrity. Raheem went down, he could have stayed there and appealed in vain for the penalty. It would have only resulted in yet another hard luck tale for the Kop, and added to the growing sense of despondency around the club. Instead he got straight up and squared it to the magnificent Henderson, who confidently beat Foster. I’ve seen his celebration since, and there is no denying this lads passion and drive. He is a future captain of our club. The remainder of the game was not without nerves. We are Liverpool after all. You can never rule out more drama. Enter Brendan Rodgers. In my opinion the boss has taken some undeserved stick from a vocal minority of late. Against the Baggies he got things spot on in that second half. First bringing on Johnson for Manquillo. I’ve been impressed with the loanee, but he was toiling a bit yesterday. The introduction of Johnson mad a difference, and he actually looked sharp and started to influence things. Then came a master stroke. Rodgers took off Coutinho and sent on Lucas. My initial thoughts were that he was looking to shut up shop. Lucas alongside Gerrard hasn’t worked in my opinion, with both trying to do the same job, and usually getting it wrong. There was a sense of unease at the move. We needn’t have worried, It soon became clear that Brendan had something else in mind. The addition of Lucas, this time, released Gerrard to get further forward and join in the attack. The benefits were immediate and suddenly the Baggies defence had something else to worry about. Even Balotelli seemed to benefit from addition of the skipper to the forward line. 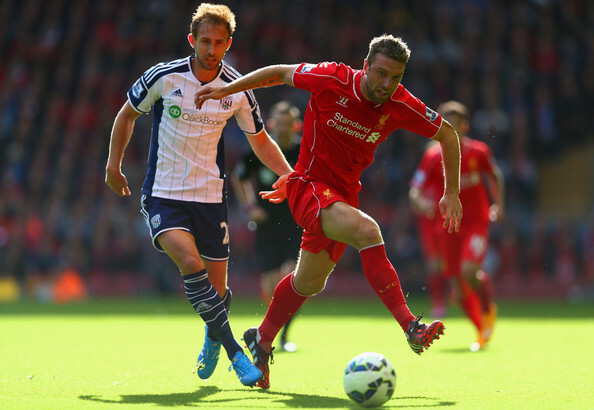 Stevie still has a lot to offer in an advanced role, and let’s hope Rodger has seen that. Oliver somehow found it in his heart to grant us a little more drama, inexplicably finding four minutes of stoppage time, but the reds saw it out. After the gloom of the Derby and the despondency of Basel, once again all was right with the world. 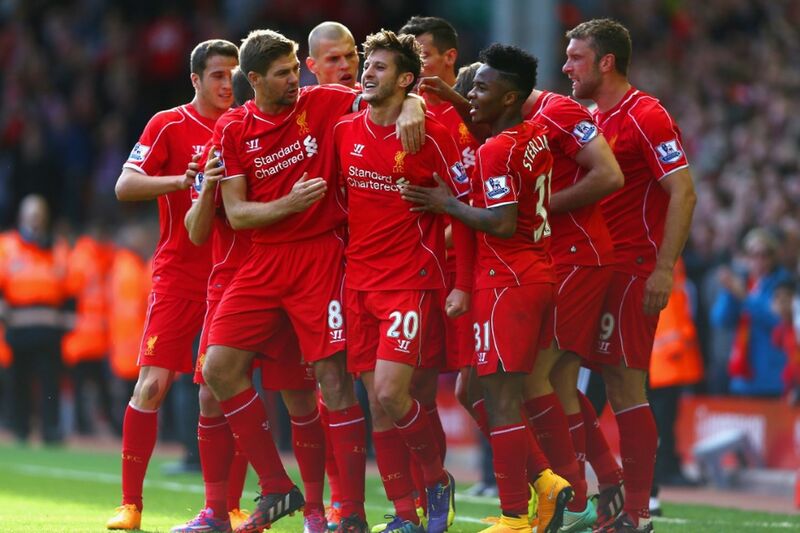 That’s why I follow Liverpool, because they can take me on a slalom of emotions like nothing else in life. From the gut wrenching to the glorious. It’s like a bad romance. I wasn’t speaking to them last week, but now they’ve brought back that loving feeling. How long will it last.